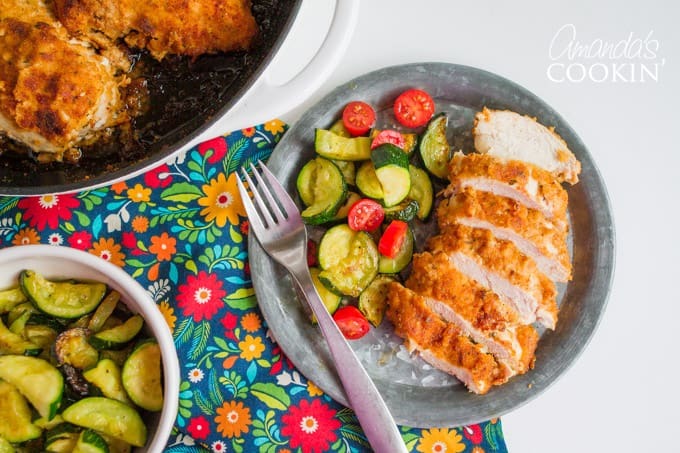 Try your hand at some spicy oven fried chicken for dinner tonight! 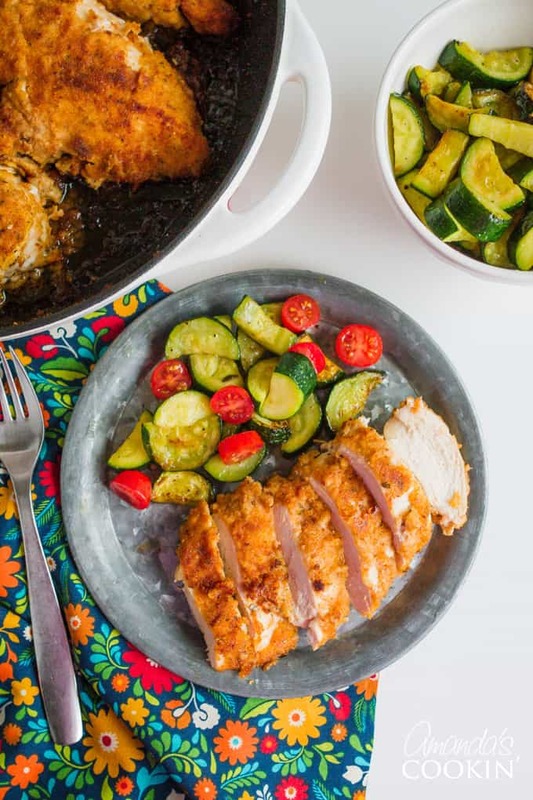 This spicy oven fried chicken gets its flavor from the spicy marinade. So be sure to marinate your chicken first thing in the morning or the night before so your chicken has enough time to soak up the spices. 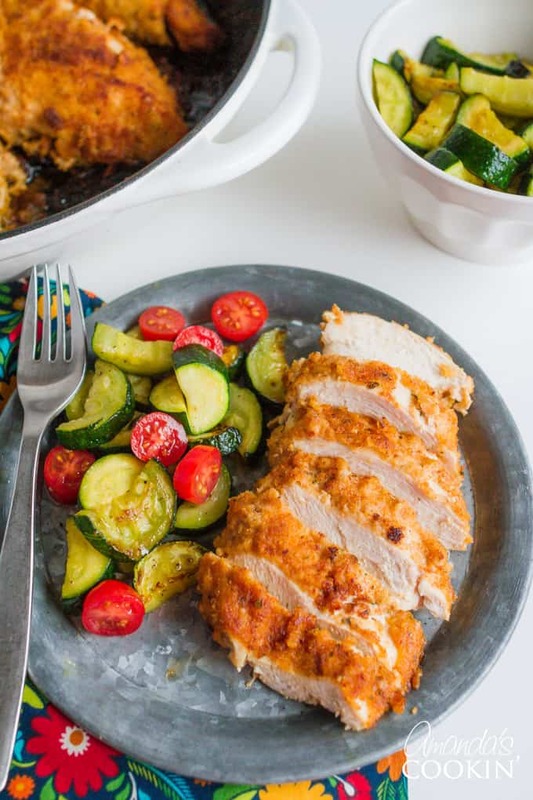 Serve it up with Spanish rice with black beans and corn, or Crockpot Mac and Cheese for a hearty and satisfying combo or for a lighter choice, sautee some fresh zucchini and Roma tomatoes! 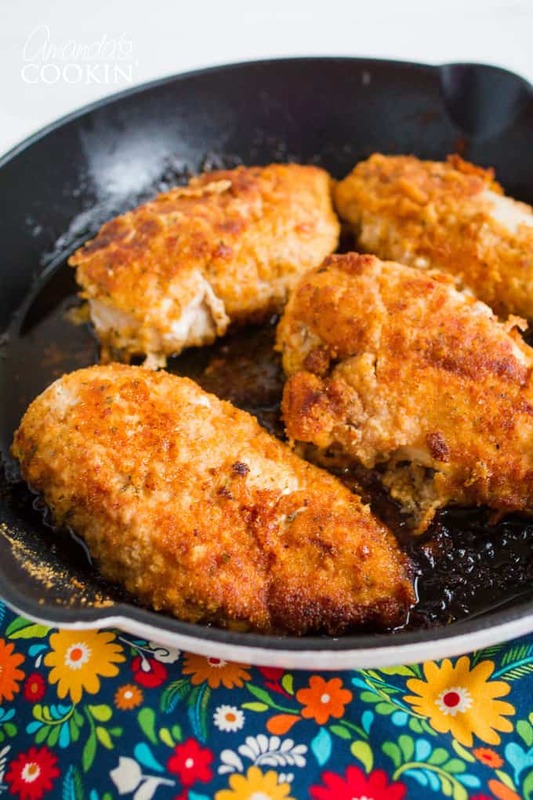 This delicious Spicy Oven Fried Chicken was a recipe I came across many years ago. I saved it forever in my recipe printouts and finally pulled it out to make it. A very important step is to marinate for the time suggested; I put mine in the marinade in the morning. You could really taste the spice in the meat and the crispy coating was delicious. 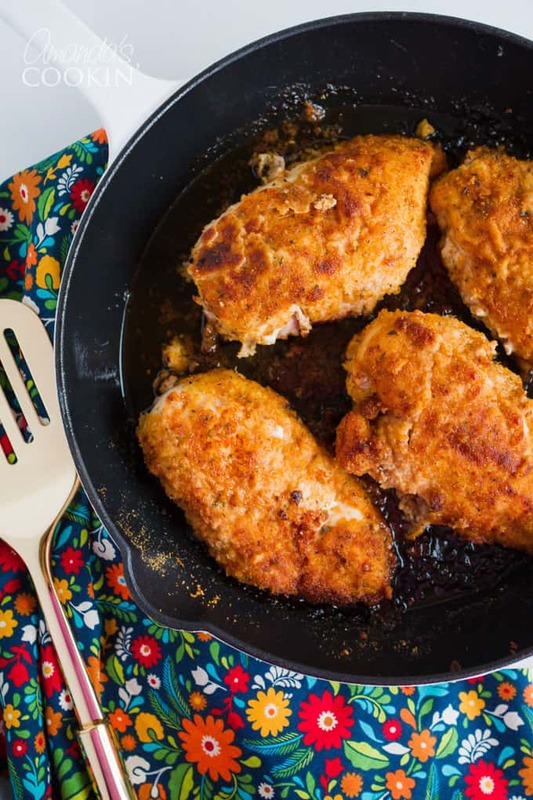 In a separate medium bowl, mix dry bread crumbs, flour, onion powder, cornstarch, white sugar, garlic salt, salt, pepper, paprika, and cayenne pepper. Thoroughly coat the chicken in the breadcrumb mixture. The time on the baking was right on. I actually baked mine a little longer because I wasn’t quite done with the rice etc, I should have turned it off and removed it from the oven. It would have been juicier. But again, that was my fault, I left it in about 15 minutes longer than the recipe suggested. It was still very tasty and had a great spicy flavor. Thumbs up! You can scroll to the bottom of this post for the full printable version of this recipe! If you like this you might want to try these Oven Fried Chicken Breasts and these Oven Fried Chicken Legs. 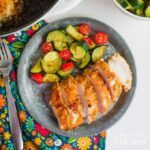 This spicy oven fried chicken gets its flavor from the spicy marinade. Be sure to marinate the chicken the suggested amount of time for perfect results! This post was originally published on this blog on September 22, 2008. If the chicken pieces are fatty it can become a bit mushy on the bottom. Try turning them halfway through baking. I love anything that tastes fried, but isn’t. I will definitely have to try out your recipe. Thanks! This is my kind of chicken. I know my husband would love it too – the spicier the better. Nice recipe. I’d love to add you to my blogroll. I haven’t updated mine in ages and you are inspiring me to do so. Thanks ladies! It really was good, if you try it, you’ll love it. Thanks for commenting! Your chicken looks so crisp and yummy. You have a terrif blog! hmm..yummy and delicious looking.lemme try this once. That looks wonderful and just how I would like it, spicy and nicely browned. I love your gingham background. 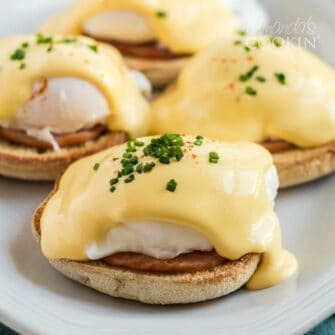 It makes the food look wonderful!